Check out Tobi's Chandra Pointed Toe Ankle Boots Obsess over the Chandra Black Pointed Toe Ankle Boots, featuring a sharp pointed toe, stacked heel, asymmetrical side zipper for easy wear, and a fitted construction. 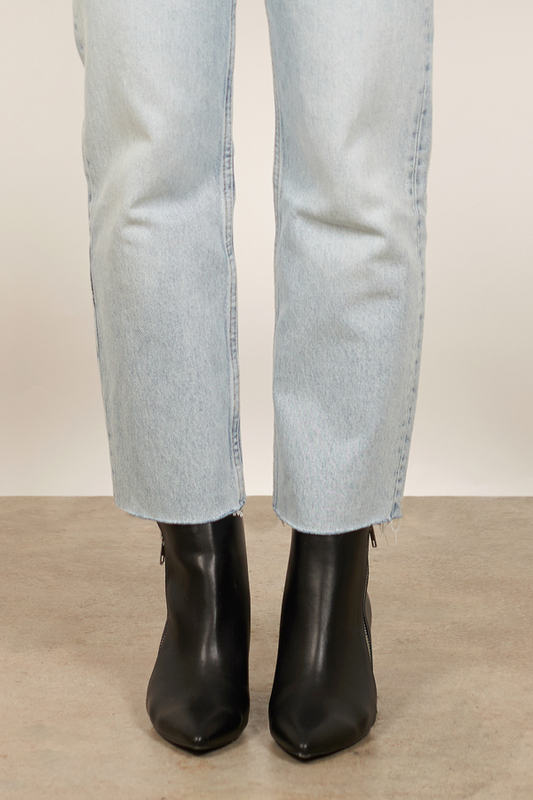 Pair these pointed ankle boots will step hem jeans and a tucked in tee. 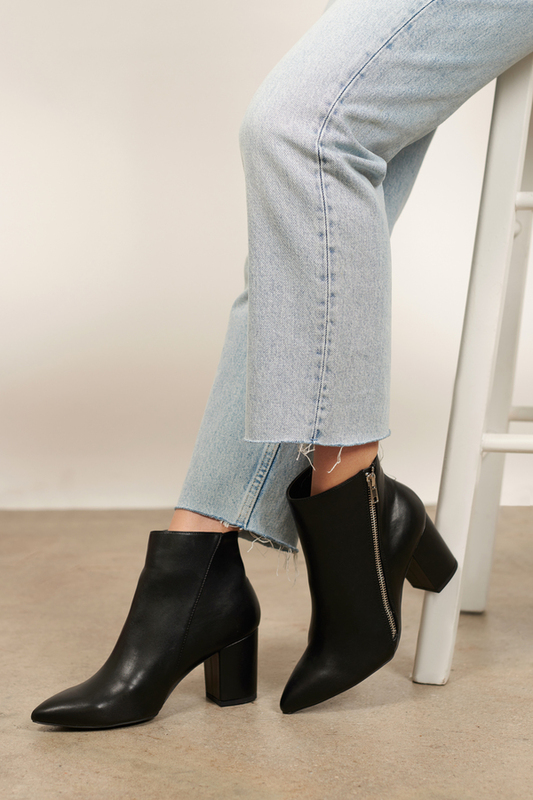 Obsess over the Chandra Black Pointed Toe Ankle Boots, featuring a sharp pointed toe, stacked heel, asymmetrical side zipper for easy wear, and a fitted construction. Pair these pointed ankle boots will step hem jeans and a tucked in tee.